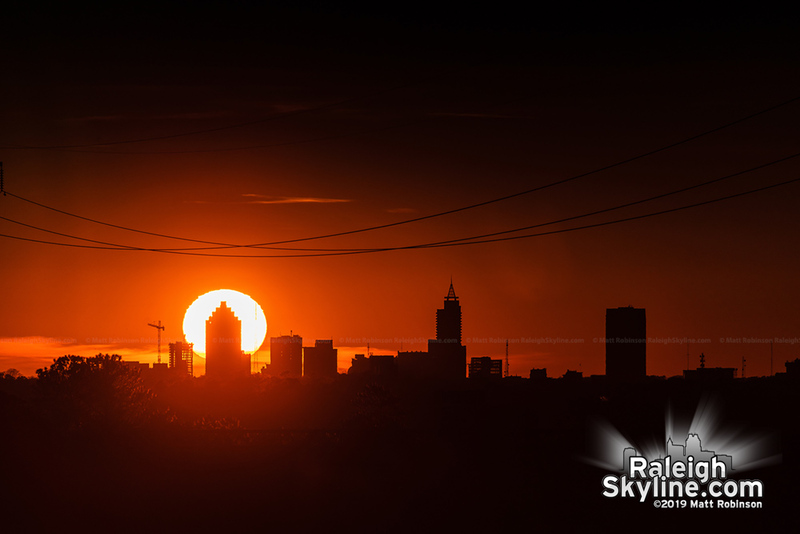 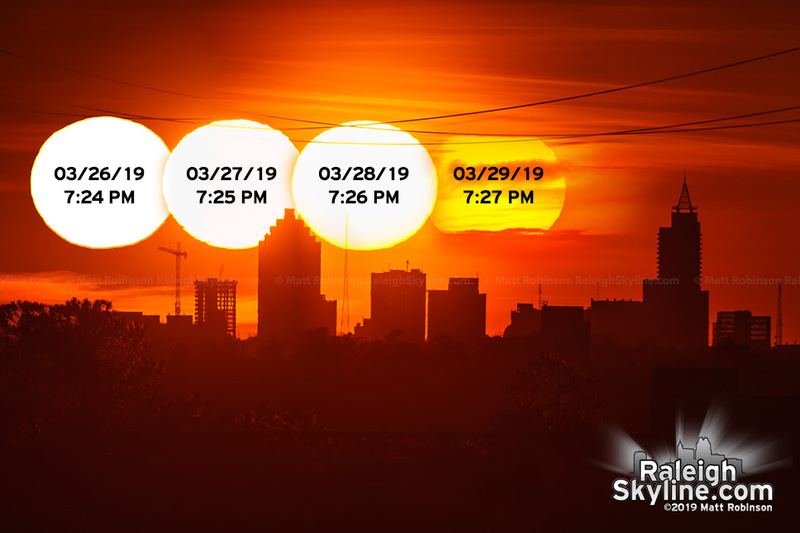 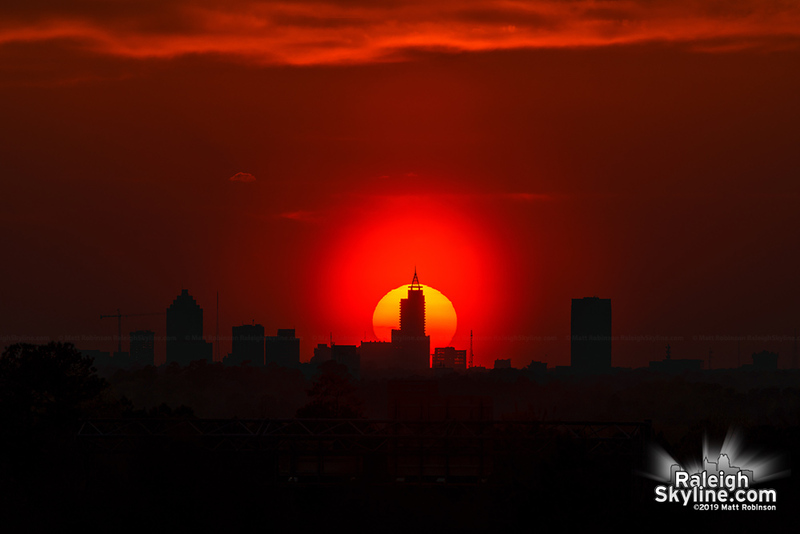 For about a week near the the spring and fall equinoxes, the sunset will align behind downtown Raleigh from certain vantage points. 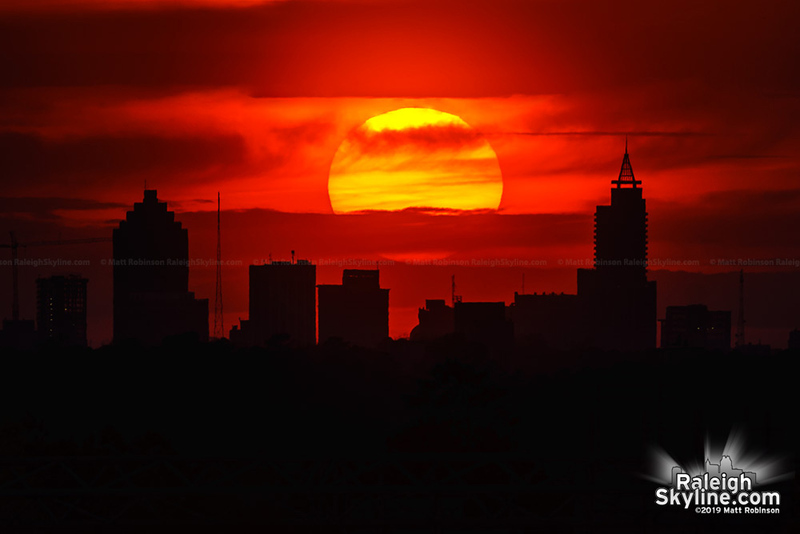 I capture a timelapse for 6 days as the relative position of the sun moved north each day. 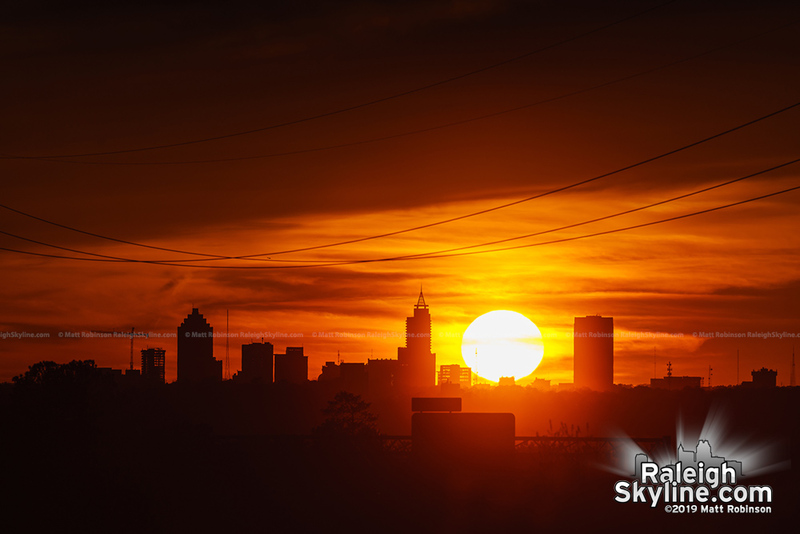 This skyline view is about 7 miles away.